We didn't want to get our child a pet. with the work and hair and...ugh Then we though of a fish.. they are easy, cost effective...but they..don't last that long to put it nicely. Then I found the Aquabot made by HEXBUG and I was happy! No need to buy food, clean grimy takes or even replace fish after they kick the proverbial bucket. 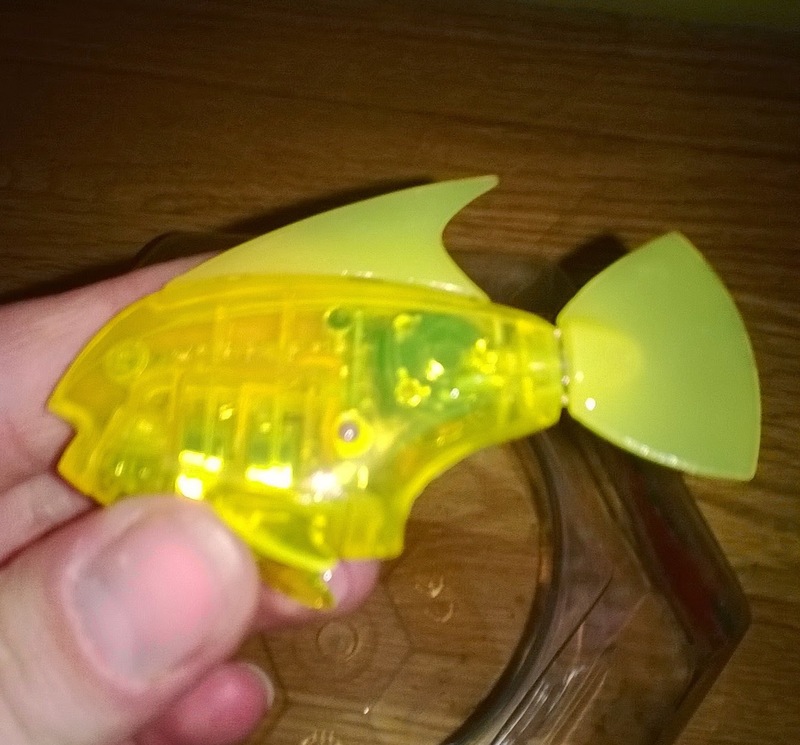 The Aquabot is a little robotic fish that dives and swims in its tank. It plays with you if you touch the water or tank and even turns itself off and goes to sleep after five minutes of no stimulus which saves on the battery. 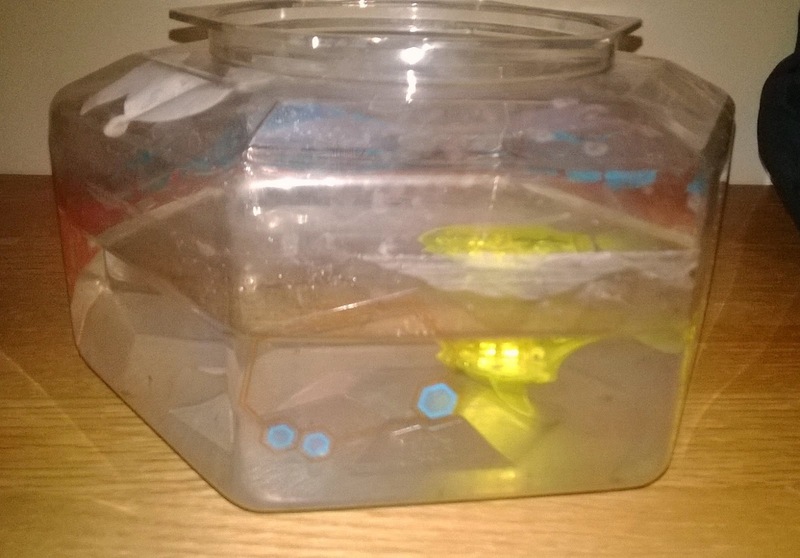 The Aquabot even has a little light that changes colors and makes for even more entertainment.